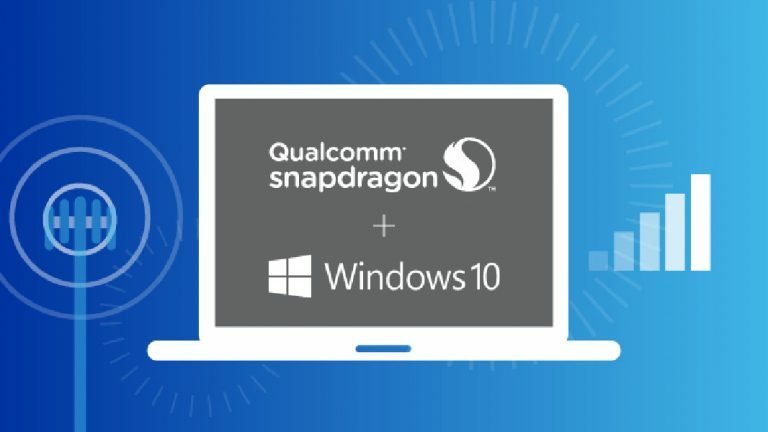 Qualcomm is working on an exclusive SoC for upcoming Windows 10 on ARM devices. Entries for a new Snapdragon chip were found on Geekbench and all clues point it to be a performance-based variant of the Snapdragon 845 adapted for the extra thermal headroom in notebooks and 2-in-1s. Qualcomm is apparently working on branching out its high-end flagship SoCs to cater to Windows 10 on ARM (WoA) notebooks and 2-in-1s according to a report by WinFuture.de. A Geekbench listing points out to a new chip named Qualcomm CLS, which is clocked higher than the Snapdragon 845 at just under 3 GHz and has higher scores in comparison. WinFuture expects that this chip could be the Snapdragon 850. Other than the speed bump, the Snapdragon 850 is not known to differ much from the 845. The higher clocked variants are expected to be used in WoA notebooks while the traditional flagship chips will continue to be featured in smartphones. Catering a dedicated series of chips to WoA could be rewarding in the long run to Qualcomm, OEMs, and of course Microsoft. Compared to a traditional smartphone, notebooks and 2-in-1s have more chassis space and headroom for thermals. Having a chip with adjusted TDP/multipliers might help in boosting the x86 emulation capabilities of WoA. As we opined in an earlier article, WoA does have limitations with respect to x86 emulation and could definitely use some speed boosts. This would also help in catering to enterprises who need to run virtualized apps on the go without compromising on battery life or connectivity. Qualcomm, however, has not officially confirmed anything yet. At MWC 2018, the San Diego-based chipmaker had differentiated the top performing Snapdragon 600 series into a new 700 series to help Chinese OEMs demanding flagship features at relatively cheaper prices so another such differentiation is certainly possible. While there is no ETA at the moment as to when these chips will hit the market, word on the street is that we can expect to start seeing the first Snapdragon 850-powered devices as early as summer this year.